Can Women Play in Online Casinos? In the world of online gambling, there are many bingo sites that are specifically targeted towards women, but is it the same when it comes to online casino sites? Can women play casino games online too? The answer is most certainly yes! Statistics have shown that 30% of the casino audience is female. Now not only do online casinos cater for the female market, but there are also sites aimed solely at women too. 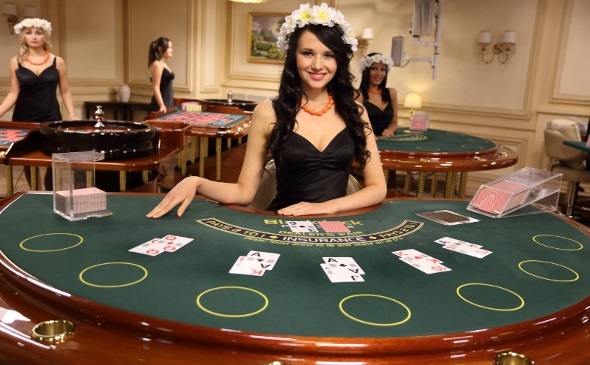 Online casinos allow women to play any game they fancy without the worry of feeling under pressure or uncomfortable. Also not that it actually happens much, but there is also no risk when playing online of being continually harassed by men either. Yes there are chat rooms and there are always going to be rude people no matter where you play, but you can simply block anyone that you do not wish to talk to with a click of a button and enjoy your time gambling. While most sites are gender neutral and appeal to all gamblers, some online casinos have been specifically designed to cater for the female audience. The first was 888 Ladies which was swiftly followed by a number of other sites such as Pink Casino. These sites replace typically dark colours with whites, pinks, and purples. Not only does the visual appearance change, but the layout does too with the most popular female game choices such as slots and instants featured more prominently on the page. That’s not to say the table games are hard to find. As you will discover in the section below the table games are becoming ever popular with female gamers thanks to the ability to play online. Favourite game types will of course always come down to the personal preferences of the individual in question. However, psychologists have found that when it comes to gambling in land-based casinos that women tend to be drawn more to games that involve luck such as Slots, Keno, Roulette and of course bingo. Men, on the other hand, have shown a preference toward the thrill involved in high stakes games that include poker, blackjack, and baccarat.The presence of online casinos, however, has seen a shift in this pattern. Every game that can be found in a land based casino can also be played online and statistics have shown that when the option to play online is available that women are much more likely to play games that are typically associated with men. A suggested explanation for this shift is the removal of any potential intimidation factor. This is due to online anonymity since every player can be displayed as just a name or an avatar. Whatever the reason for the change is, online casinos are certainly having a positive impact on providing females with a way of enjoying all of the games that are available. The presence of online casinos, however, has seen a shift in this pattern. Every game that can be found in a land based casino can also be played online and statistics have shown that when the option to play online is available that women are much more likely to play games that are typically associated with men. A suggested explanation for this shift is the removal of any potential intimidation factor. This is due to online anonymity since every player can be displayed as just a name or an avatar. Whatever the reason for the change is, online casinos are certainly having a positive impact on providing females with a way of enjoying all of the games that are available. Although gambling has long been thought of historically as an activity for men, times have certainly changed. There has been a huge increase in online gambling options over the past 10 – 15 years. This has subsequently opened the doors for more players both female and males alike to enjoy everything a casino has to offer without ever having to actually go to one. The creation of apps for smartphones has also made online casinos accessible in just a few taps wherever there is an internet connection. Online offerings also provide a fantastic way to have fun and win some extra cash in the comfort of your own home. If you haven’t already done so then why not give an online casino a try? Virtually every site offers bonuses upon signing up, and some even allow you to play for free. This provides a great way to see if you enjoy the games on offer before gambling with real cash. Games such as Slots, Blackjack, Poker and Keno are not only great fun to play, but you can chat to new people, make new friends, and win money in the process. Not only that you can entertain yourself for as long as you like, and since you are in control of the stakes the games are as cheap or expensive as you want them to be. As more women discover the fun of gambling online there has been an increased presence of women in land based casinos too. Whilst there is plenty of fun to be had online, there is nothing quite like the atmosphere, thrill and excitement of playing in a real casino. When you feel ready for a great night out with friends or your partner why not look up your local casino where you can have a meal and a drink whilst showing the guys how it’s really done! Is Bingo A Game For Women Only?